brings a wealth of experience to the table as a result of building businesses for the past 40 years. He has coached/consulted CEO’s, Presidents, entrepreneurs, salespeople and start-up businesses. Milton’s insights and philosophy have also helped business people balance the appropriate levels of tenaciousness and with excellent communications and listening skills. This is all to be accomplished within an environment that puts a premium on taking personal responsibility for results. No company is too small or too large for him and his associates to achieve rapid results in their business development. 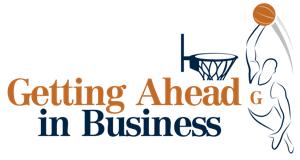 Milton writes a monthly business column: Getting Ahead in Business for Gannett publications and is also the host of Getting Ahead in Business on WCTC 1450am Talk Radio New Jersey every Monday and Wednesday at 8:00am. Listen to Milton and read his column, but most important make an appointment with him to make 2016 a banner year.